The area around Malham in Yorkshire is dominated by Carboniferous limestone, creating an area of wonderful scenery. It is also great walking country. 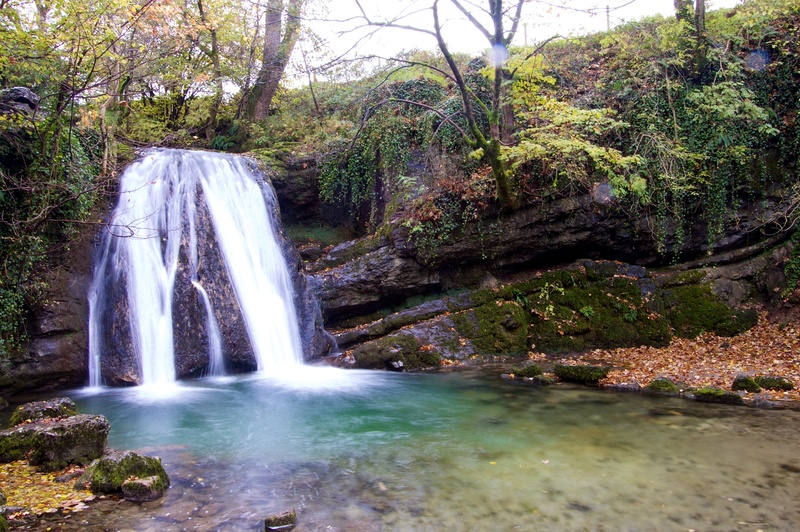 Just over half a mile from the village of Malham is Janet’s Foss. Even on a dull day it’s a good place to practice your long exposure images – the only other person there was another photographer doing exactly the same thing as I was. The only downside of photographing a waterfall after rain is that you cannot keep water off your filter! Love this place and great shot! Thank you. It *is* a great place – the walk from Malham, past Janet’s Foss, Goredale Scar, Malham Tarn, and back to Malham via Malham Cove is one of my all time favourites – highly recommended.